Is this a bug? 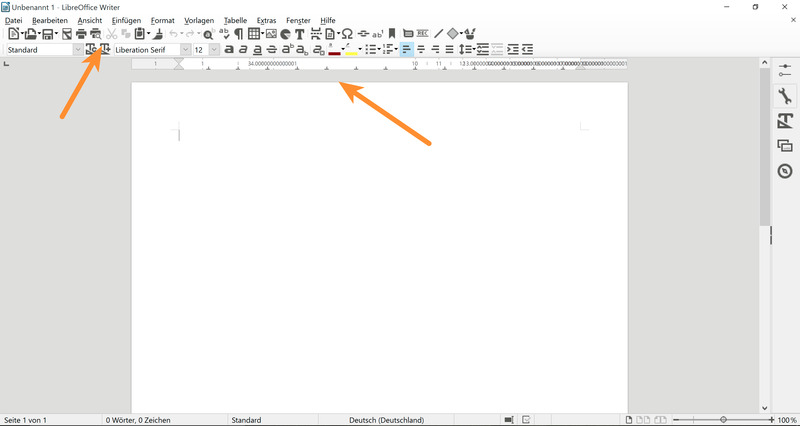 Is there a work around or do I simply have to use 640x480 to work with LibreOffice? Ruler issue in question reported as tdf#98044. Yesterday I have reported LO 5.1 (Impress) display anomaly here. The Surface Pro 4 features a 2736 x 1824 screen. At this resolution the ruler and tooibar look fine. But some dialog boxes (like Table Properties) were tiny. They did not scale well. Impress, in particular, does not seem to work well with the Surface Pro 4 display. Apart from the broken slide show mode, I also notice random display defects during edits of my slides.